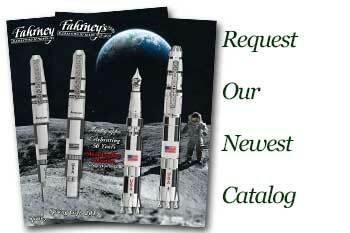 Order your Taccia Nishijin Kimono 1 Slot Pen Wrap today from FahrneysPens.com. Fine Pens, Refills & Luxurious Gifts – great prices & fast shipping. Our new Kimono Pen Wrap is the Japanese way to carry and protect your treasured pens. For centuries, the finest kimono fabrics have been woven in Kyoto, Japan. The Pen Wraps are fashioned from rich man-made Kyoto Nishijin kimono brocade and hand-made in Kyoto. Available in Sakura Festival, Rolling Waves and Garden Mist patterns, each one is secured with a purple cord and holds one pen of any size. Fantastic product - very luxurious and well made. Great item to protect your pens. This was purchased to protect a Namiki Emperor and it fits perfectly. Highly recommended.